The holidays are a special time when we feel the most grateful and are especially aware of the importance of family. It’s typically a joyous time that is filled with celebration surrounded by our loved loves, but for many children in the world’s youngest country, this time of year is often spent alone. This year, we ask that you share the gift of hope and love to orphans, such as Asha, that are living at the St. Jean Antide Center in the city of Rejaf; a facility we have funded that is dedicated to helping orphans find solace through shelter, education, and food. 5-year-old Asha was found wandering the streets alone after her mother and father were shot to death amid the increasingly vicious civil war. The center took the little girl under their wing and she now has a safe place where she can finally call home. But the orphans are given so much more than just a roof over their head. They are given love, support, food, an education, and are taught life skills such as knitting and sewing, which will help them thrive for years to come. For orphans whose lives have been scarred by violence, it’s your gifts that will help bring a smile to their faces this Christmas. So please, send a generous tax-deductible donation and help us paint a brighter future for these children. P.S. I pray that you will become the spark of hope for a child this Christmas. 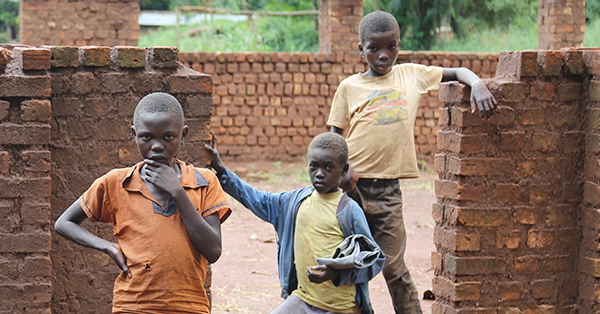 Your tax-deductible donation will be investing in the future of these distressed orphans.